I’d thought passionate flutes were mentioned. 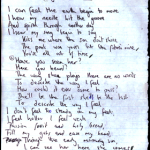 It seems I was mistaken and that as this lyric sheet says it is ‘passion fruit’. Such a wonderful song and esp lyrics. One of the beautiful tracks of all time. 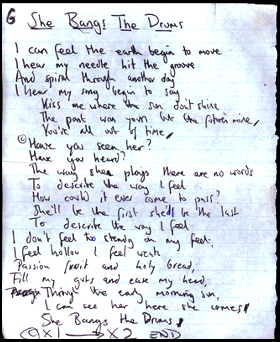 Don’t know what it is about The Stone Roses but just reading the lyrics of this song sends tingles up my spine. Still my favourite after all these years, pure bloody brilliant!